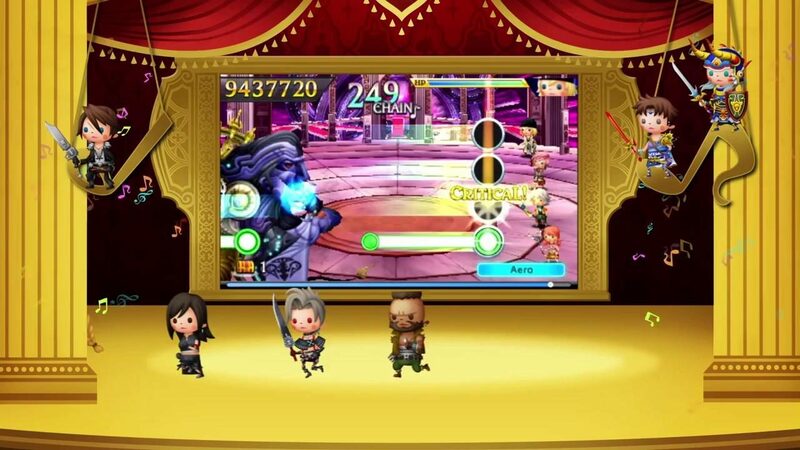 Theatrhythm Final Fantasy: Curtain Call is the sequel to the rhythm action game Theatrhythm Final Fantasy for the Nintendo 3DS. 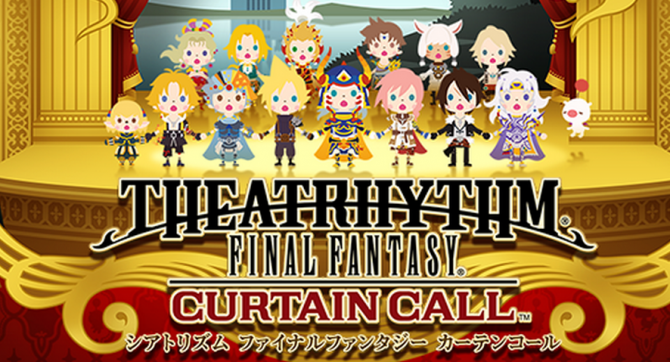 Just like its predecessor, Curtain Call is a rhythm game which features many different characters across the Final Fantasy series. 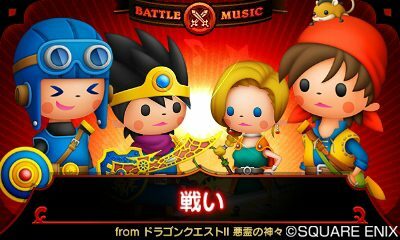 Players will use these characters to navigate through three different types of stages: Field Music Stages, Battle Music Stages and Event Music Stages. While all three of them vary in level design, they all have the essential goal of pressing each note accurately. You start off by a forming a party of four members, and you can choose from many different characters from the franchise. Other characters will be unlocked as the player collects different colored Crystal shards, which are obtainable by just playing the game. You can also equip abilities and items to enhance your performance thus ending with better results. The title offers three modes to play: Music Stages, Quest Medleys and Versus Mode. Music Stages Mode is the main mode of the game, which is used to unlock the other two modes as well as characters, abilities items and more songs. Additionally, it will also unlock the Museum Mode, which offers your records of accomplishments and other cool features, and the game?s Settings menu so players can go back and check old tutorials, fix the sound settings to their liking and change their profile name. The game offers three types of difficulties — Basic Score, Expert Score and Ultimate Score. Depending on the song, not only can you really tell the difference between each difficulty, but Ultimate Score actually lives up to what it’s supposed to be–the hardest mode. 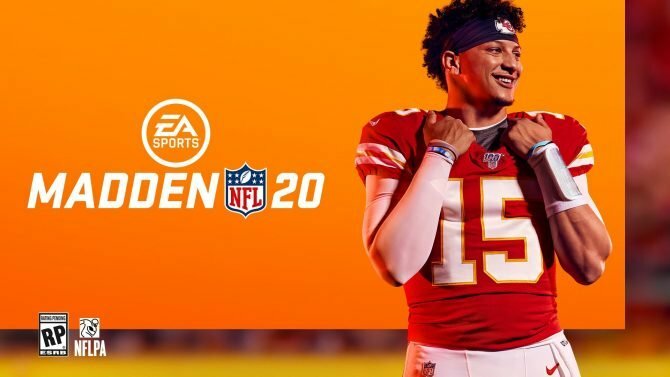 Luckily, the game offers Practice option for players who would like to improve their skills with no given penalties for failures or a Play Demo option so players can take a peak on what to expect. Museum Mode also offers a music player feature which lets players play songs on sleep mode, so if you don?t have Final Fantasy tracks in your music player device, this feature serves as a nice substitute. You can also view the cinematic videos played during and Event Music Stages once you unlocked them, and they still look as good on the small 3DS screen — or medium-sized one if you?re playing it on an XL. Quest Medley offers four types of quests — short, medium, long and inherited — with the other three being unlocked after the completion of the previous option. Once you start, the game puts players in a map with branching paths, taking a similar approach to the Final Fantasy series. Depending on the path you take, players will be able to collect items as well as encounter monsters to battle. At the end of the quest, a final boss will appear. Versus Mode allows players to play the game locally against a friend, in online multiplayer or against the AI. This mode is quite different from as others due to the main objective. As both players play through a song together, you can hurl negative status effects at each other, which results in icons to slow down or speed up. At some points, it causes some notes to become unpredictable until right before they reach the mark. Overall, it?s a fun competitive mode to play among your friends. Unfortunately, this mode takes a bit of time to unlock unlike Quest Medley, so for players who like to jump into Multiplayer right away, you would have to wait a bit before you can duck it out with your friends. Players have the option to choose from four different styles of gameplay: Stylus Style, Button Style, Hybrid and One-Handed Style. With Stylus Style, you will use the stylus to tap, slide the button screen when the appropriate note appears in the top screen. With button style, you will use the Circle Pad and any button. With One-Handed Style, you will only use the Circle Pad and the L button. You can even mix it up between the stylus and buttons with Hybrid Mode. Having the option between Stylus and Button is great, as personally I feel more comfortable playing Field Stages with the Stylus and Battle Stages using the buttons. Granted, this is my personal preference and will differ per player. Sadly, the difference between the One-Handed and Button styles is minimal. While Field Music, Battle Music, and Event Music Stages essentially share the same overall goal, they still different from one another. BMS are fast, up-tempo, battle songs which tend to be a lot faster than the other two. Notes coming from the right of the screen are displayed in four lanes, each for one character in your party. As you’d expect from a Battle Song, enemies will also have a presence in stages, in which you can inflict damage to every time you hit the right notes. With that said, BMS can be the hardest out of the three stage types. Field Music Stages are happy, relaxed, field songs that tend to be the slowest out of the three, and also the easiest. Field Songs are usually displayed in the actual stage the song originates from. Just like Battle Songs, Field Songs? 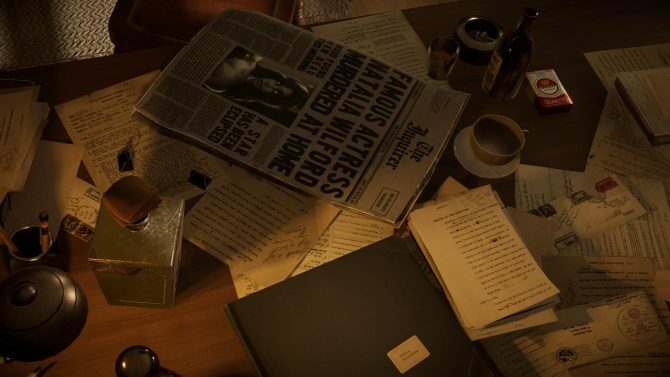 notes come from the right of the screen but except in a singular line. 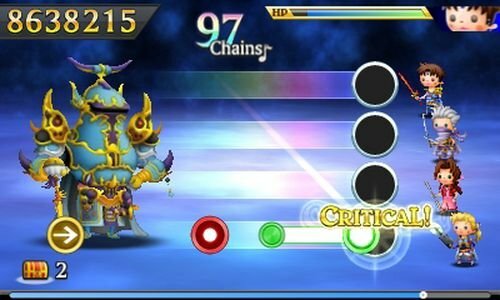 Instead of your whole party being on stage, each character will be switched out at certain periods of the song. Last but not least there?s Event Music Stages, which are very different than the other two. 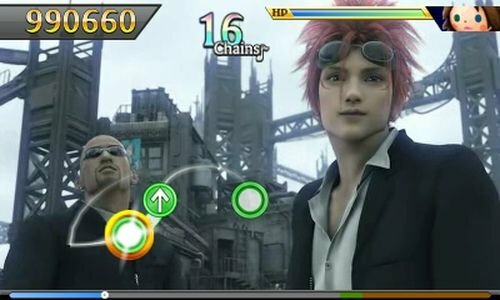 Instead of displaying a stage or your party, it will show a cinematic from its corresponding Final Fantasy title. Notes are also displayed differently in this mode. Instead of appearing horizontally, from the right of your screen, each note will fade in from a random point of the stage and notes will fade out as they come to you. 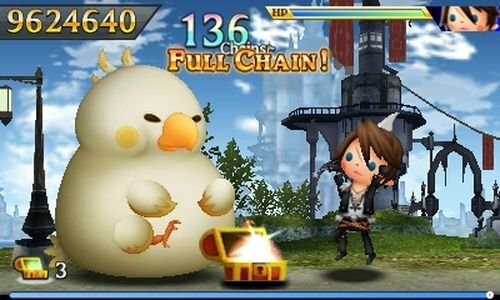 Just like its predecessor, the art style is the same used for the avatars from Final Fantasy Airborne Brigade and Kingdom Hearts Mobile, which isn?t exactly bad for a 3DS title. 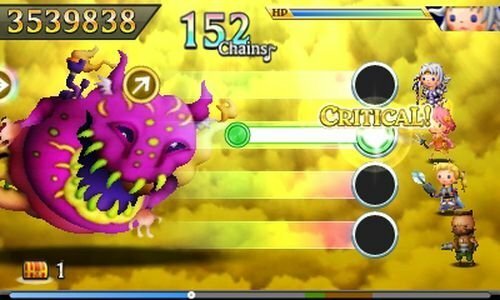 Both stages and enemies featured in Field Stages and Battle Stages levels aren?t bad either. But the graphical factor of the game shouldn?t be the selling point for this title. Curtain Call being a rhythm game, the music selection is the second most important thing in this game. Just like characters, over 221 songs across the Final Fantasy series are available. 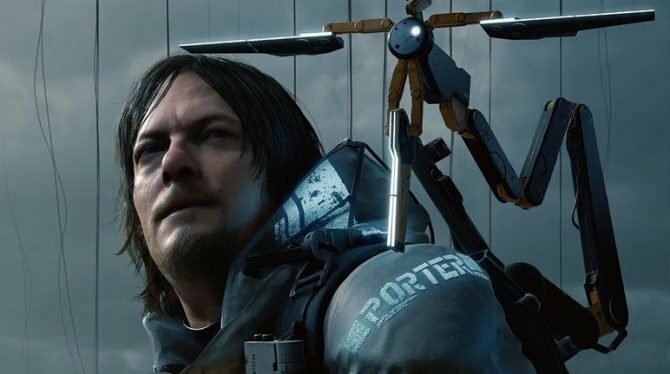 As expected, additional songs will be added to the game through DLC. Even with DLC included, it’s missing a lot of fan favorite titles, which is quite disappointing. 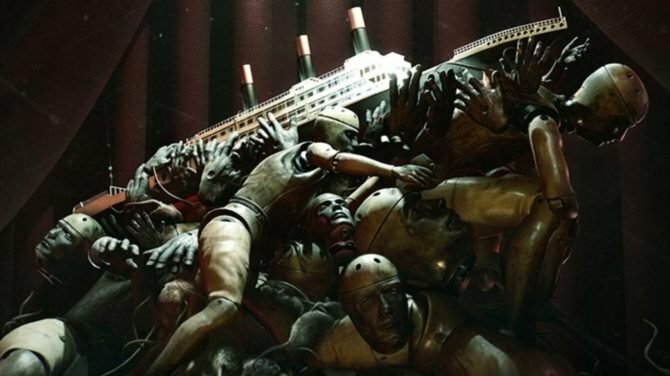 However, the tracks already available, including the DLC make up for the exclusion and it doesn?t deteriorate this musical experience. A huge con, one that dampened the entire experience for me, was the fact that you have to essentially grind to unlock Versus Mode and additional songs. 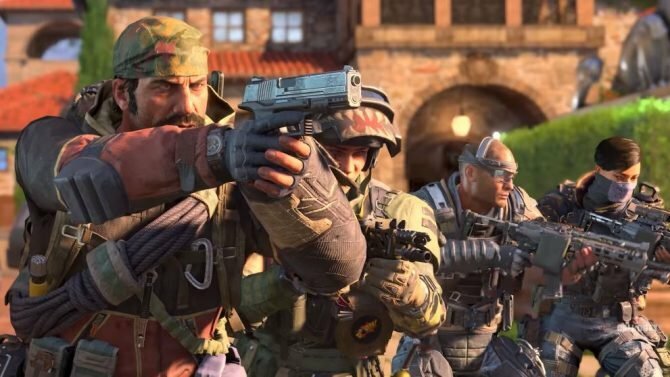 Unlocking characters is one thing but having to play enough of the title to get access to multiplayer and even more songs is pushing it, since these are features that should be available from the start. 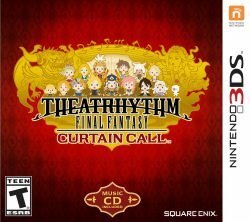 Overall, Curtain Call is an amazing title that satisfies both aficionados of the rhythm genre and Final Fantasy series? soundtrack. 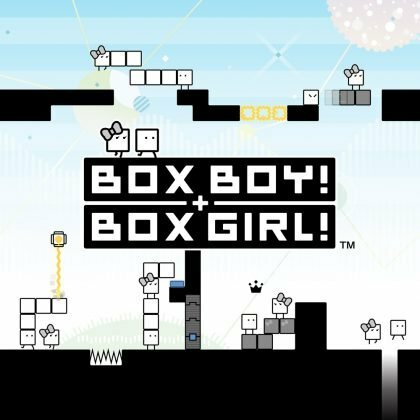 With its great music rhythm-action styled gameplay combined with the amazing selection of songs, it takes players through a truly musical experience. In addition to the great selection of songs, the amount of content featured from the series, including the amount of present characters is satisfying as well. 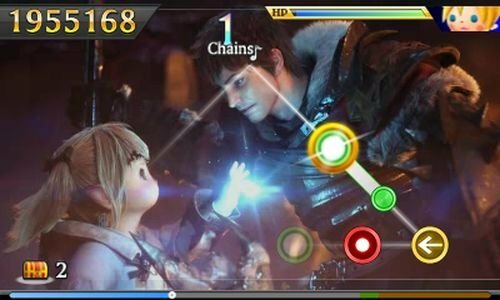 I would recommend this game to fans of the Final Fantasy series and rhythm action games combined.